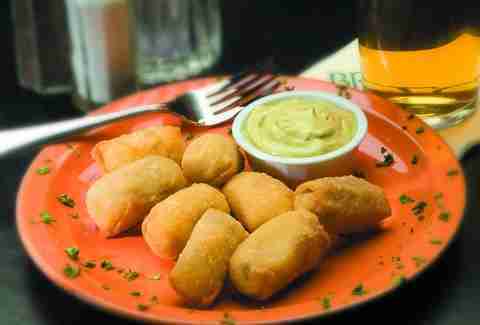 The Bristol has been a Louisville original since 1977, the green chili wontons a beloved local favorite. Crispy wonton skins are stuffed with oozy Monterey Jack cheese and slightly spicy chilis, with the house-made guacamole served alongside acting as a welcome and tasty cooling agent. The menu is on a quick and constant rotation at Proof, where cooking with seasonal and local ingredients is valued above all else. Only a couple of items have managed to stand the test of time, far too delicious to limit to just one season. The octopus is one of these addictive dishes, plump slices of octo served blazing hot and caramelized in a cast-iron dish, with charred pieces of Blue Dog bread offered as a vehicle for consuming this bucket list dish. Chef Bruce Ucán has given Louisville the gift of authentic Mayan flavors and was one of the very first in the city to teach us the value of supporting local farmers. A man with such wisdom also knows it’s important to eat your veggies, even those of childhood nightmares, like the lima bean. 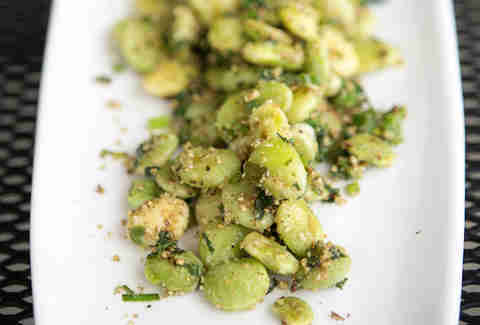 Chef Ucán works his magic with these legumes, tossing them with ground pumpkin seeds, parsley, and green onions to create his delectable signature dish, tok-sel lima beans. Chef and owner Ryan Rogers speaks to the very heart of our soul with his loaded tots. I mean, who doesn’t love tater tots? Top them with killer slow-cooked meat, some of the best slaw in town, and a spicy house BBQ sauce and there is simply nothing better. This is comfort food at its finest. 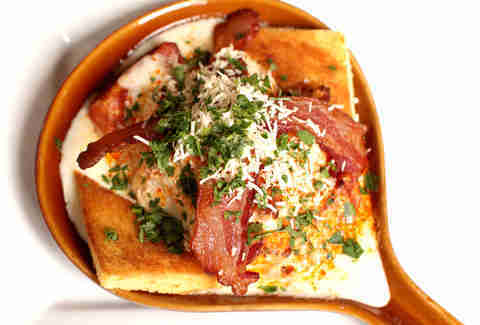 Often referred to as a heart attack on a plate, the Hot Brown is an indulgence, to say the least. Crispy toast is topped with sliced turkey, tomatoes, and a rich, creamy Parmesan-spiked mornay sauce. 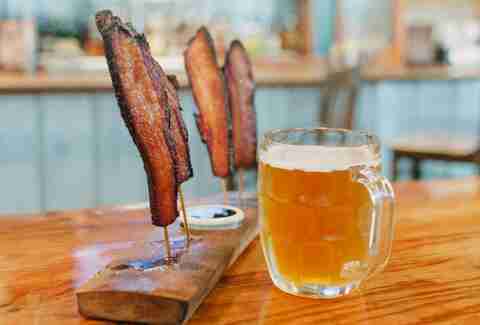 Baked until bubbly, slices of bacon are added as a final garnish to this over-the-top favorite. We Kentuckians love our beer cheese and the good people of Eiderdown are no exception. The flavors rotate regularly, combining craft brews with various cheeses like saison and cheddar or Bell’s Oarsman Ale and smoked Gouda. It's served with our favorite Blue Dog baguette, but we highly recommend paying $2 for the pretzel sticks, it’s an upgrade you won’t regret. 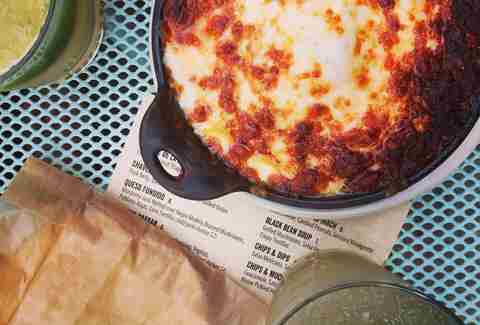 El Camino takes cheese dip to new heights with its queso fundido, combining beer-braised mushrooms and poblano peppers with a mess of melted Monterey Jack and spicy chorizo. Warm corn tortillas are provided for easy dipping. Best enjoyed on the patio with a cool Mai Tai. Toast on Market was one of the first restaurants to claim a stake in the now insanely popular East Market District. Offering all the classic breakfast and lunch favorites, the toast and eggs is one of the simplest dishes that keeps us coming back. Noted as the "Staff’s Favorite," two yeasty slices of brioche are blanketed with eggs fried to your liking and drizzled with a signature harissa hot sauce. You’ll be hard-pressed to find a more authentic Louisville dining establishment than Vietnam Kitchen, which has been an essential Louisville restaurant for over 20 years. 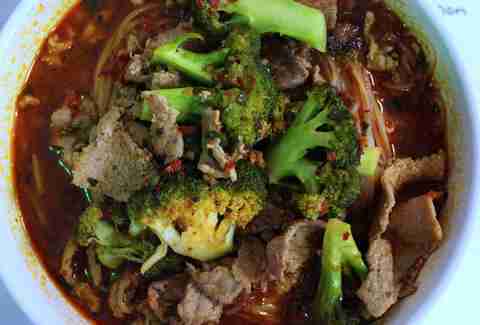 The menu has much to offer but we can’t seem to pull ourselves away from K8, the hu tieu saté, a piping-hot bowl of spicy rice noodles and saté sauce with broccoli, bean sprouts, and lemongrass. We come to Zäd for the hummus and stay for the avocado wrap, a vegan-friendly mix of avocado, black beans, tofu, and portobello mushrooms tucked in a large tortilla and warmed on a panini press. It’s surprisingly hearty, no meat required. We adore our bison in Kentucky and are lucky to have so many chefs who embrace this lean, locally raised meat. The folks at El Mundo love it so much that it's a standard filling for any and all of the made-from-scratch Mexican offerings. 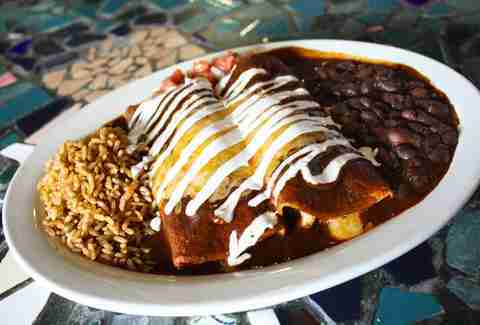 We particularly enjoy bison in our El Mundo enchiladas, offering a flavorful twist on this favorite dish, which is smothered in house-made mole poblano. Chef Edward Lee opened Milkwood using his Korean roots and passion for the South as inspiration, resulting in a menu that is fantastically unique and packed with flavors new and old. A highlight is the octopus bacon, perfectly tender slices of octopus layered atop smashed potatoes and garnished with jalapeño purée, sour cream, and Kalamata olives. It doesn’t sound like it works but trust us... it does. We can’t get enough of the traditional Ethiopian fare on offer at Queen of Sheba. Whether it’s the kik wot or the doro tips, we’re just glad there is plenty of the house-made injera bread available for scooping up this spicy and highly addictive cuisine. The name says it all. The only thing better is the beer. The Big Wick is unapologetically huge, a thick blanket of melty mozzarella set over a cornucopia of finely diced toppings including tomatoes, onions, Italian sausage, beef, pepperoni, green olives, black olives, mushrooms, and green peppers. This slightly spicy bowl of noodles and tofu dancing in hot broth is just what you need when you’re sick/hungover/cold/happy/sad... well, you get the idea. 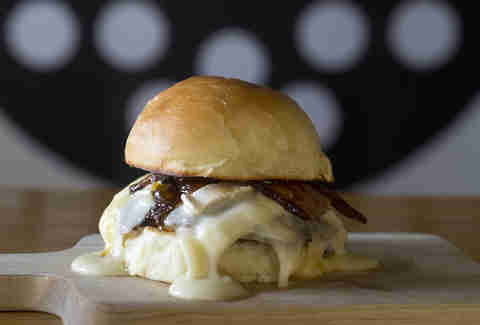 Just when we thought NuLu couldn’t get any better Grind announces that it’s moving Downtown with its addictive B&B burger in tow, making the East Market District just a little bit cooler. It’s been a favorite for over 35 years and what’s not to love? A classic cake cone swirled to unnatural heights with ice-cold vanilla soft-serve and then dunked into a warm chocolate bath, appearing again wearing a solid chocolate shell. It’s a summer staple and we wouldn’t order it any other way. Steamed until just cooked through in a bath of shallots and white wine, this classic French restaurant serves this classic French dish just as God intended, with a side of crispy pomme frites. Located at 2nd and Main, right beside the YUM! Center, you’ll be hard-pressed to snag a seat at this Southern smokehouse and raw bar on event nights. 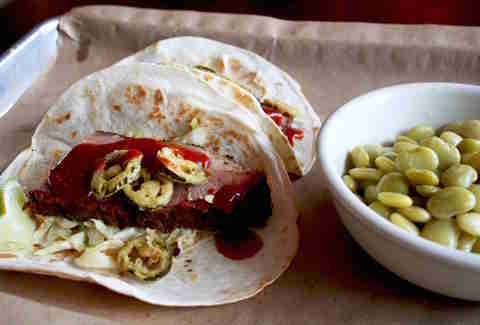 The brisket tacos are well worth the wait, and the fried jalapeños add both spice and crunch to this tasty pre-game snack. It’s the simple things in life, right? Rye pulls at our nostalgic heartstrings, always offering a variation of thick-cut toast topped with a variety of clever garnishes. It’s a must-order, especially when you throw a straight-up expertly soft-boiled egg on top. Dig in and let the yolk run free, friends. Have you had pot de creme before? 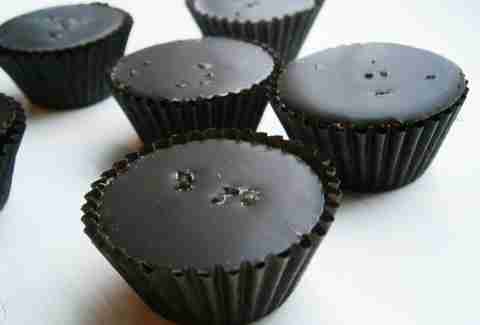 How about dark chocolate pot de creme? Go to 211 Clover NOW. You’re welcome. It seems as if every restaurant in town has a cheese and charcuterie board on offer; they may as well stop trying or accept their second place medal. 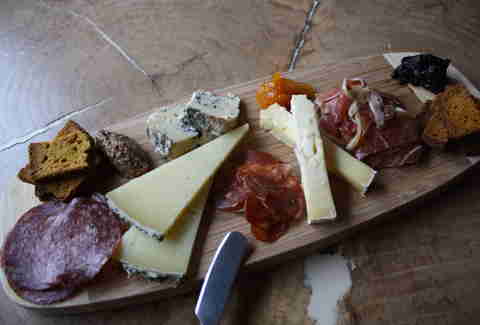 No single cheese and charcuterie board holds a candle to the elegance and decadence of Wiltshire on Market’s offering. The freshly baked pastries, cookies, quiches, and cakes on display at Wiltshire Bakery & Cafe are such a feast for the eyes that selecting your treat feels like an impossible task. It would be easy to overlook the seemingly simple butter croissant, a standard offering at any bakery worth its salt. This isn’t any run-of-the-mill croissant, however. It is a feat of butter-laden, abundantly flakey goodness, and one that should not go without celebrating. Everyone has their favorite guacamole in town. This is ours. With 80% of the ingredients used on every plate sourced from purveyors within a 100-mile radius, there’s a lot to feel good about when you’re dining at Harvest. 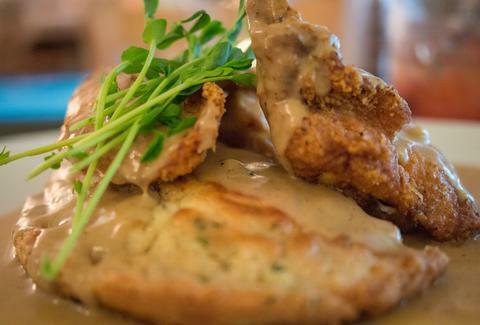 It has embraced what it means to eat local and has peppered its menu with classic Southern favorites, like the buttermilk fried chicken, easily one of the most irresistible birds in town. 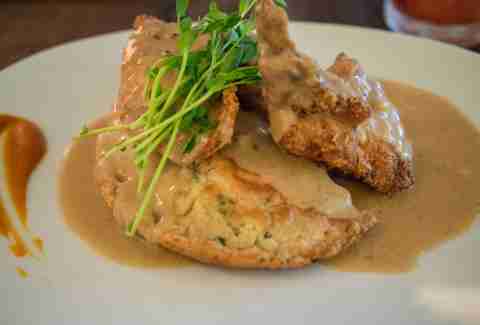 The fact that it’s served with a drunken pork biscuit hoecake and smoked peppercorn gravy is simply icing on the proverbial cake. Sapporo is a Highlands hotspot, with crowds lining up and willing to wait for the hand-rolled sushi or for a spot at one of the hibachi tables. We’re partial to any sushi roll with texture and the name of the Crunch Munch roll says it all, crispy panko taking the shrimp and crab up a notch. This is not your typical tuna melt. Think fresh avocado, mozzarella cheese, and chunks of heat-infused tuna sandwiched in between the best bread in the world. You’ll never look at tuna the same way again, we promise you. 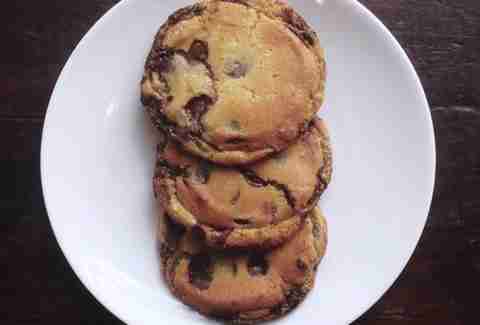 It’s the best chocolate chip cookie in town, plain and simple. Typically reserved to spice up potato chips, Hammerheads showers its duck-fat fries with this sweet-and-spicy BBQ seasoning. Servings are rich and plentiful, ideal for sharing and as a side dish for the PBLT (pork belly, lettuce, and tomato) sandwich you are sure to order. Whoever thought to combine chocolate, caramel, and sea salt should be deemed a saint. To find this other-worldly confection in it’s most perfect form look no further than Cellar Door Chocolates, which takes things up a step further, foregoing the everyday sea salt and instead sprinkling its chocolate-caramel treats with bourbon barrel-smoked sea salt, adding another dimension of deliciousness. Shirley Mae’s has been serving Louisville soul food classics for over 25 years, turning out slices of hot water cornbread alongside its beloved fried chicken day after day in Smoketown. This is a special find in Louisville with a history all its own. The walls are lined with photos of previous guests, some quite famous, all of whom made the trip to Shirley Mae’s in search of the very best in fried chicken and home-cooked goodness. 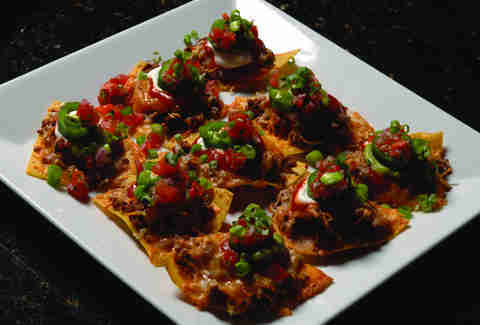 Named for the head chef and owner, these nachos are indeed worthy of the term "perfect." Individual tortilla chips are layered with each and every beloved nacho topping, ensuring that every bite is full of flavor and, well, perfect. Anthony Lamas knows his way around a piece of fish and his unique and sustainable treatment of this gift from the ocean has won him critical acclaim both locally and nationally. Given the name, it is no surprise that his creative seviche offerings are highest in demand and the tuna "old fashioned" is a menu staple, boasting perfectly sliced cubes of tuna marinated in bourbon barrel-aged soy and straight bourbon and tossed with tropical chunks of pineapple. When people think of Kentucky and candy, the bourbon ball generally is the first confection to come to mind. While you will find an ample supply of homemade bourbon balls at Muth’s, it is the Modjeskas that we covet. Created in Louisville in the late 1800s, the Modjeska is crafted by dipping a plump marshmallow in warm and silky caramel, creating a scrumptious and chewy shell. 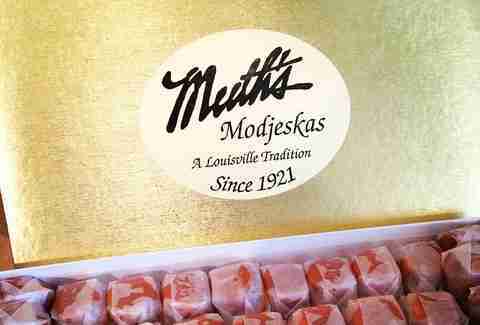 You’ll see this candy in large supply come Derby time but there is no need to wait, Modjeskas are available year-round at Muth’s. This dish is not for the spice adverse. In fact, it is almost impossibly hot... almost. 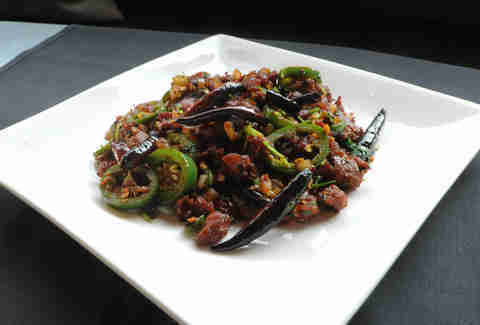 The flavors of this sautéed medley of beef and peppers are so intense, so full of umami that we find it well worth the burn. Just be sure to cut to the chase and ask your server to leave the water pitcher at your table and to bring a refill in about 10... you’ll need it. You won’t go wrong with any Holy Molé offerings, but please don’t miss out on the chorizo taco, we beg of you. Often made with locally sourced grass-fed beef from Foxhollow Farm, this taco is everything street food should be: flavorful, easy to eat by hand, and perfect before/during/after a night of bar hopping. How do you make a donut better? 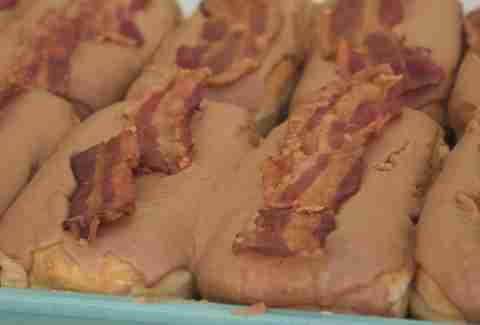 Cover it in maple icing and top it with bacon. Thank you, Nord’s, for this revelation. We are forever indebted to you. 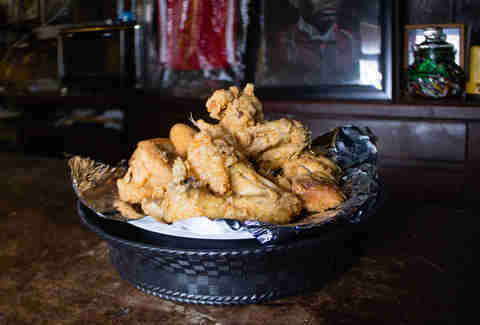 It’s hard to believe that Mike Linnig’s has been frying up fresh fish, shrimp, frog legs, and oysters for 90 years. Located just off the river and easily accessible via the Louisville Loop, the menu can be overwhelming, but we recommend keeping it classic and ordering Mike’s Famous Fish Plate, which comes with two hand-breaded fried filets, French fries, coleslaw, and plenty of the house-made tartar sauce. Butter pecan ice cream + pecan pie + chocolate chips + bourbon. 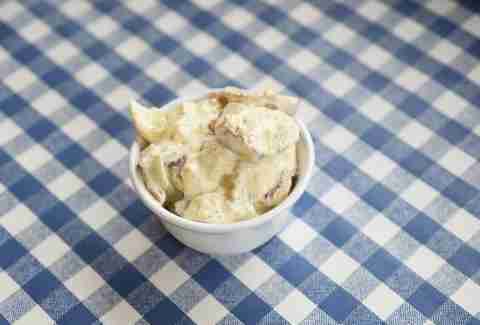 It’s Kentucky’s sweetest flavors served ice cream-style. We couldn’t ask for more. Some people will spend a lifetime trying to perfect certain classic dishes like tomato soup. 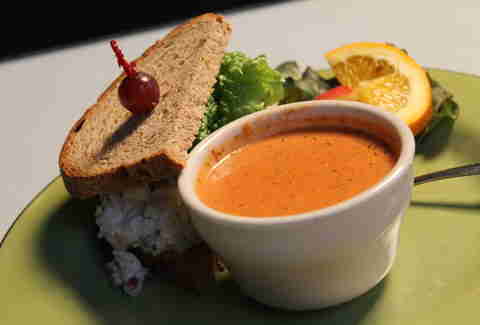 We think they’ve done it at The Café, where the recipe for creamy tomato dill is a closely guarded secret. Who would have thought that our favorite dish on Café Mimosa’s lengthy, cross-cultural, Chinese-Japanese-Vietnamese menu would be so healthy? Steamed shrimp and poached chicken are layered amongst vermicelli noodles and fresh lettuce and then rolled up tight in rice paper. Served chilled, these rolls come with peanut sauce for dipping (perhaps the best part). Coal’s house-made pizza dough is truly something special and the Waverly pizza is what dreams are made of. Prosciutto and fig jam are paired up with a trio of cheeses (think Asiago, mozzarella, and Gorgonzola) and it's cooked in a blistering 1,000-degree oven until bubbly and just on the edge of charred. 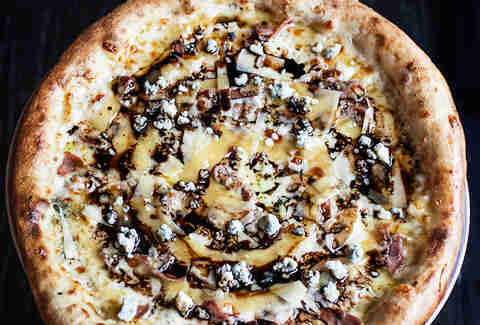 A drizzle of balsamic reduction and shower of shaved Parmesan take it over the edge. It only comes around once a year, folks! 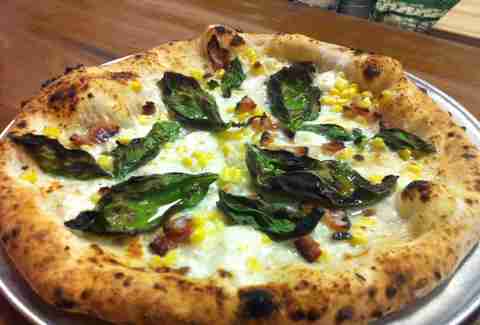 Don’t miss sweet corn pizza season at Garage Bar; the time for cream, garlic bacon, and sweet, sweet corn to mingle on Garage Bar’s coveted pizza crust will be over before you know it. The Irish know how to do pub fare right and the Irish Rover is no exception. It’s the traditional fish and chips that we’re after, a large filet of cod fried until extra crispy and served with a mountain of fries, err chips, and plenty of vinegar and tartar sauce. We’re pretty much in love with everything on Charim’s traditional Korean menu but it’s the hot stone bibimbap that ultimately has our heart. As the name suggests, a flaming-hot stone bowl is filled with fluffy rice, an assortment of veggies, and, most importantly, an egg yolk. The rice toasts along the edge of the bowl while you break the yolk, creating a wonderful sauce and bringing the entire dish into perfect harmony. 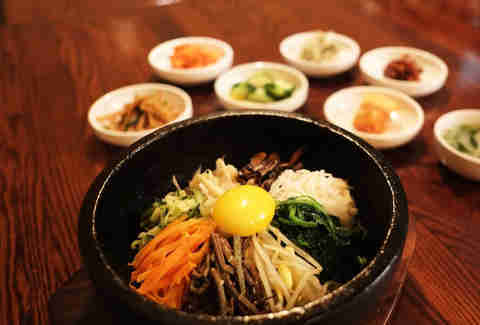 The various condiments served alongside are a final flourish to one of our favorite dishes in the city. It’s a generous slice of Brie layered over locally grown Kentucky bibb and melted into a luxurious mess. 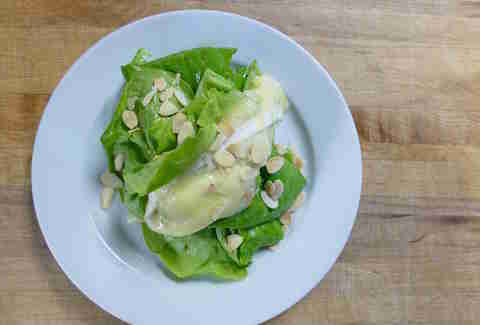 Add toasted almonds and basil-Dijon vinaigrette to the incomparable surroundings of Jack Fry’s and you have a perfect Louisville, Kentucky, salad experience. We love just about everything the Ton brothers do, especially when it comes to their inspired creations at Basa in Clifton. The imperial rolls are our go-to starter, an addictive combination of shrimp, pork, glass noodles, and wood ear mushrooms enveloped in a crispy shell and fried, ready for dipping in a house-made chili and garlic sauce. Sometimes, when it comes to BBQ, it’s all about the sides, and Mark’s Feed Store has mastered the art of a good potato salad. Made with large chunks of skin-on red potatoes, Mark’s adds hard-boiled egg, celery, and green onion to the mix, tossing everything in a rich vinegar-laced mayonnaise dressing. It’s BBQ’s best friend, and we can taste why. The Village Anchor is easily the most in-demand restaurant in Anchorage, turning out its unique take on Southern-inspired fare on a nightly basis. It’s the sweet potato fries that we love, which are unabashedly seasoned with vanilla brown sugar and rosemary salt and then smothered with marshmallow creme. Not enough? This appetizer comes with bourbon BBQ sauce for dipping. Just the kind of over the top we love.